The Moorings Inverness Florida Waterfront Community at Point O' Woods by Carrollwood Development. Welcome to horse country! 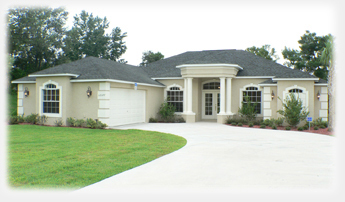 Pine Ridge Estates in Beverly Hills, Florida is one of the finest equestrian communities in West Central Florida. 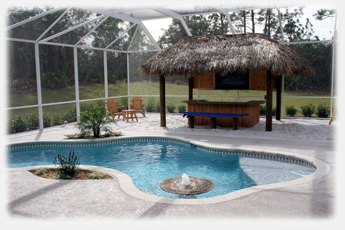 Centrally situated in Citrus County it is close to everything. 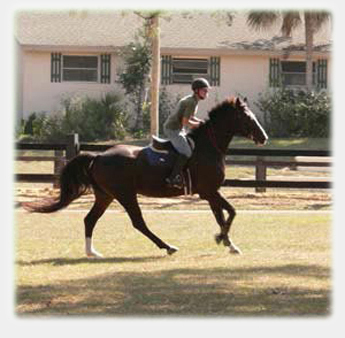 The deed-restricted community of Pine Ridge Florida features over 28 miles of horseback riding trails and a professional equestrian complex with corral, paddocks, stalls, and competitions as well as classes. A favorite Sunday activity is to go on a trail ride and visit the neighbors, which is easy as the horseback riding trails wind through the wooded community going from home to home. Better put in a hitching post! The entire neighborhood of Pine Ridge Estates is set along rolling hills and open meadows, surrounded by verdant and aromatic pine forests offering privacy as well as a roomy feeling. The lots are large ranging from 1 acre to 20 acres. A home in Pine Ridge Estates is typically a larger estate home in a country setting. Most homes have pristine landscaping with immaculate lawns, shrubs, flower beds, etc. And many have gated drives with ornate stone columns. Dream Custom Homes Pine Ridge Estates model and offices are located at 5502 W. Santa Fe Lane, Beverly Hills, FL 34465. Many residents of Pine Ridge Estates own horses although it is not required. As such, driving through Pine Ridge it is a delight to view the horses grazing in their wood-clad, fenced pastures. You can keep the horses on your own property or board them in a stall at the Pine Ridge Equestrian Complex, where they will be well cared for. There is much more to Pine Ridge Estates than just horses. 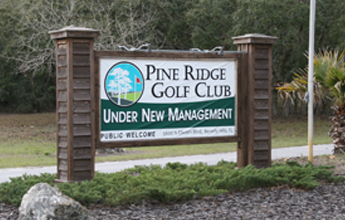 Much of the social activity in the community is centered around the Pine Ridge Golf and Country Club. 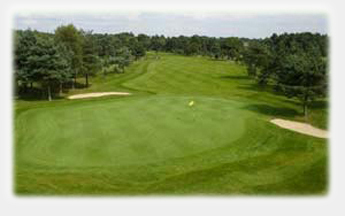 Offering two courses, a par 72 main course, and Little Pines a par 3 executive course, the Pine Ridge Golf Course offers something for every skill level. 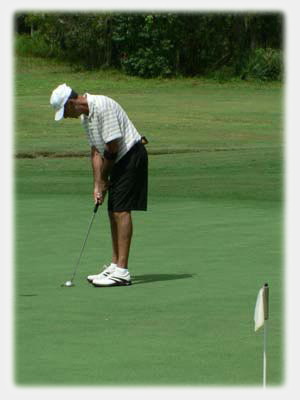 There are two putting greens, a driving range, and chipping greens. The par 72 course features challenging woodland holes with rolling fairways that are not encroached by homes right on the golf course. The Pine Ridge Country Club also sports a fully-stocked Pro Shop with all the latest gear and golf apparel. There is a practice facility with chipping and putting areas to help your short game and a driving range as well as PGA staff available for lessons. And if you're hungry, the Pine Ridge Golf Course has a bar and grill open daily, serving up an excellent lunch menu & finger food and the bar is fully stocked. You'll find the coldest beer in Pine Ridge on tap at the 19th hole. The Pine Ridge Community Center is another hub of social activities. Every kind of club, arts & crafts, card games, small library, and organized social meetings are offered. Many of the residents have also taken up gardening from vegetables to flowers. The large lots and open space offer much for those with a green thumb.